Obituary for Nina (Scears) Almo | McIlvaine-Speakman Funeral Home LTD.
Nina Almo, 66, of Meadow Lands, died Sunday, April 14, 2019, in West Penn Hospital, Pittsburgh. She was born March 5, 1953, in Canonsburg, a daughter of the late Charles and Jessie Cale Scears. Mrs. Almo was a 1971 graduate of Canon-McMillan High School and later graduated from Penn Commercial. She had worked in childcare for over thirty years and most recently was at the World of Wonders Daycare in Canonsburg. 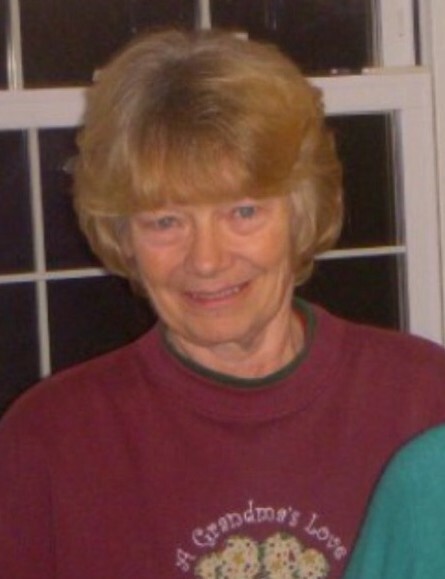 Mrs. Almo loved woodworking, gardening, dancing and spending time with her grandchildren. On June 30, 1978, she married Gary Almo, who died July 21, 2004. Surviving are: a son, Patrick Almo (Lynea Ann) who she resided with in Meadow Lands; four grandchildren, Logan, Lee, Heidy and Haven Almo; a brother, Larry Scears (Nancy) of Houston; a sister, Susie McGary of Washington; and many nieces and nephews. Deceased are: four brothers, Charles, Frank, Clayton and Gary Scears; and three sisters, Eleanor Yarkosky, Gail Marie Scears, and Christine Bizzack. Friends will be received from 2 to 4 and 7 to 9 Wednesday in McIlvaine-Speakman Funeral Home Ltd., Robert K. McIlvaine, owner/supervisor, 27 Cherry Avenue, Houston, PA 15342, where services will be held at 10 a.m. Thursday, April 18. Interment will follow in Woodruff Memorial Park, North Strabane Twp.